Question: I received my Certificate of Good Conduct from New York City. Does it have to be notarized before I can submit it for an apostille? Answer: No, this document does not need to be notarized. In fact, the signature of the Supervisor who signed the certificate of good conduct can be authenticated directly New York County Clerk, and then apostilled. 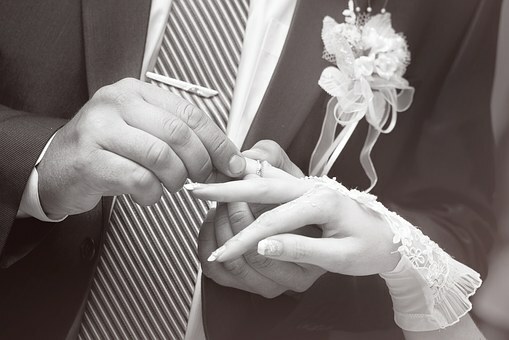 Related search terms: "new york apostille for certificate of good conduct", "new york certificate of good conduct", "new york criminal record apostille", "new york background check apostille", "how to apostille new york background check", "new york secretary of state apostille"
Related search terms: "old new york marriage certificate apostille", "manhattan marriage certificate apostille", "brooklyn marriage certificate apostille", "queens marriage certificate apostille", "bronx marriage certificate apostille", "staten island marriage certificate apostille", "how to get an apostille for new york marriage certificate issued before 1996", "extended new york marriage certificate"
Step 1: Make a copy of the resolution. Step 2: Prepare an affidavit signed by a corporate officer (president, vice-president, secretary of the company, etc), free sample affidavit follows. Then, the signature of the corporate officer has to be notarized. Related search terms: "new york apostille for company resolution", "apostille for resolution", "new york company resolution with apostille"
If you were born in the 1970s in Manhattan, Brooklyn, Bronx, Queens or Staten Island, one of the signatures on your birth certificate will look like this. This is the signature of Earlene Price who was the City Registrar at the time. Does this old birth certificate qualify for an apostille? The answer is "yes". 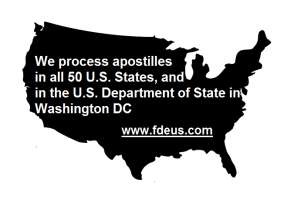 Do you need a letter of exemplification to get an apostille? The answer is "no". 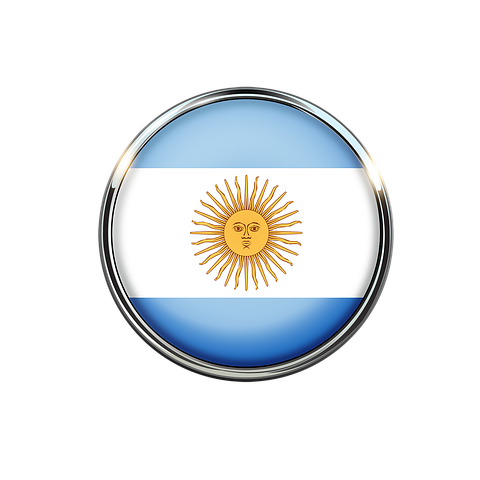 Should you consult the receiving agency in the country of intended use if such an old document with an apostille will be acceptable. 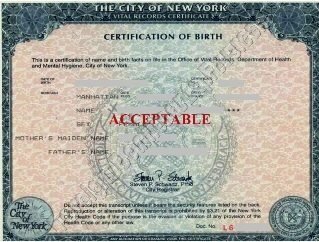 The answer is "yes, you should"
Related search terms: "new york birth certificate", "ny long form birth certificate", "earlene price signature birth certificate", "letter of exemplification for new york birth certificate"
If you need to get a New York apostille for use in the Netherlands for a personal or a corporate document originating from the State of New York, we will be happy to assist you! 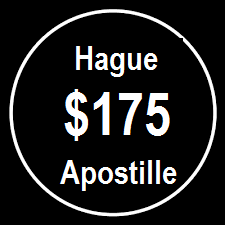 Both the U.S. and the Netherlands signed the Hague Apostille Convention, therefore all U.S. documents bearing Hague apostille stamps will be legal and valid in the Netherlands. As we are located in New York, we are able to offer the most competitive price for New York apostilles for documents intended for the Netherlands, one of the lowest in the industry. We also offer free document evaluation so that you do not waste valuable time submitting documents that cannot be apostilled. 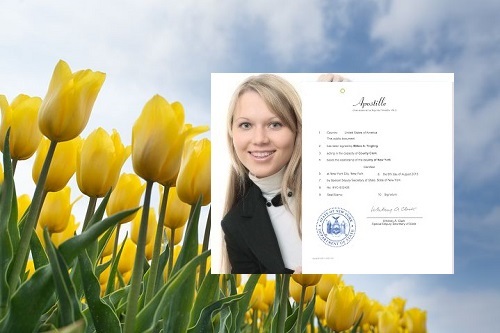 Related search terms: "new york apostille for netherlands", "apostille legalization for netherlands", "apostille birth certificate for netherlands", "new york marriage certificate with apostille", "how to get an apostille for netherlands in new york", "apostille netherlands diploma"
The New York State Department of State Licensing Division allows you to verify whether the notary who notarized your document(s) is in good standing. If you have a document (e.g. a power of attorney, consent, letter, degree, transcript, etc. 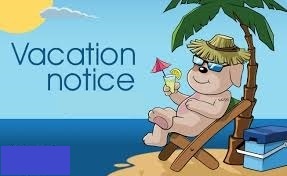 ), notarized by a New York notary public, check if the notary is active, before submitting your document for an apostille or embassy legalization. 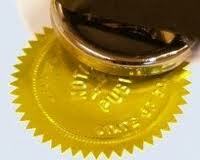 It sometimes happens that a notary forgets to renew his or her commission, makes a mistake in the expiration date of his or her license, misspells his or her name on the notary stamp. To avoid delays in the processing, it pays to check if the notary is in good standing, and if the notary information corresponds to that in his or her license. Related search terms: "new york notary verification", "how to verify a new york notary", "notary apostille", "apostille for notarized document", "international notary public"